The military is not for everyone and thinking about the incredible places Jimi Hendrix took playing guitar, it is easy realize that Jimi was one of those ill-suited people. Jimi’s music was never as political as other musicians of his time, though many call his iconic rendition of the Star Spangled Banner at Woodstock a counter-cultural anthem. True. And his 1970 “Machine Gun” is an equally powerful alternate perspective of the times. The musical part of Jimi Hendrix’s sadly short life is well known, but less known is his path to fame, particularly his time in the military. This post uses information gathered from Roby and Schreiber’s book. Growing up in a disruptive, disheveled, and often overwhelming life, the child Jimi had found solace with a broom stick that was his make-believe guitar. Later he made a guitar out of a cigar box. Jimi’s first actual instrument was a broken worn down one-stringed ukulele his recalcitrant father had found. Then a friend of his father cajoled a still stubborn Al Hendrix to buy a used acoustic guitar for $5. Eventually Jim was able to purchase an electric guitar and played in various bands. 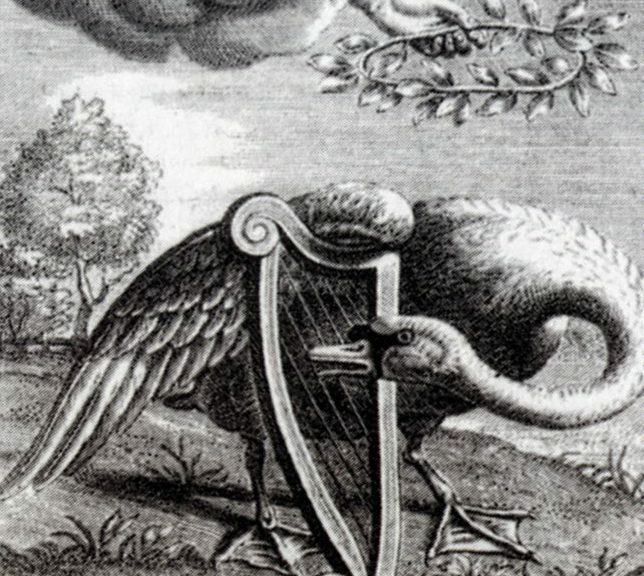 He, like many musicians before him, faced the dilemma of playing popular covers or playing his own compositions. May 2, 1961: police stopped a car with four black kids in it. Among them was 18-year-old high school dropout Jimi. The car was stolen. Jimi said he didn’t know that. Police released him to his father. May 5, 1961: similar arrest. Jimi locked up for 7 days. On May 16, 1961, at his hearing, Jimi accepted the judge’s plea bargain: a suspended 2-year sentence in exchange for enlisting in the military. May 29, 1961: looking forward to a change, Jimi departed Seattle on a southbound train toward Fort Ord, near Monterey, California for eight weeks of basic training. He decided he wanted to earn the 101st Division Screaming Eagle patch. November 8, 1961: having gotten through Basic, Jimi arrived at Fort Campbell in Kentucky. Jimi wrote to Betty Morgan, his girlfriend and apparent fiance, requesting she send his Danelectro guitar: his true love and what kept him from developing any camaraderie with his fellow soldiers . Billy Cox who heard Jimi playing and was instantly enthralled. Billy knew how to play bass. Together they began to play local gigs–still in the Army Airborne. Billy and Jimi’s constant search for time to play and practice obviously interfered with their military obligations. Despite cleverly designed maneuvers they used to evade military duties, late night gigs often meant sleeping on the job. In January 1962, Jimi and Billy formed the King Kasuals. Gary Ferguson (drums) and occasionally Major Charles Washington on Sax. The played at service clubs and occasionally in Clarksville, Tennessee. 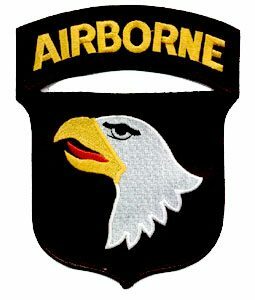 January 11, 1962: a proud, but increasingly homesick Jimi received his 101st Division Screaming Eagle patch. Because he’d dropped out of high school, Jimi had to take the General Equivalency Diploma exams. He began on the 11th. January 12: Jimi took the second round of GED. January 15: the third round. January 16: the fourth round. January 22: the fifth and final round of the GED. January 30: Hendrix is promoted to private first class. February 7: Jimi has a successful parachute jump. The warning that the Army might discharge him did not worry Hendrix. March 22: another successful parachute jump. April 14: another late gig, another missed bed check. Restricted for 14 days from April 16 to 29. May 23: Hendrix missed bed-check. Again restricted. May 24 – June 6. That same day, Pvt. James Mattox, a fellow soldier, filed a report on Hendrix alleging dereliction of duties. May 24: Jimi’s platoon Sgt James C Speers filed a report which included: He has no interest whatsoever in the Army. May 28: Sgt Louis Hoekstra filed a statement against Hendrix for missing bed check and being obsessed with his guitar. June 1: supply officer Lyndon Williams filed a report against Hendrix for lack of interest and inability to concentrate. 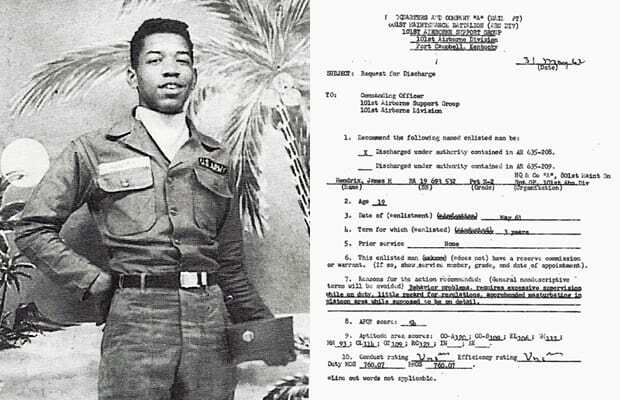 June 2: Sgt William Bowman filed a report against Hendrix for sleeping on duty, masturbating in the latrine, and owning money for a laundry bill. June 29: the honorable discharge approved. 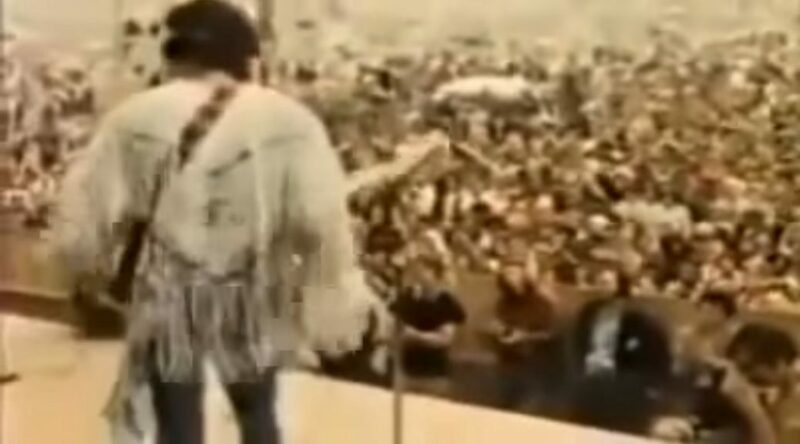 July 2: Jimi left Fort Campbell with $400 in his pocket. He decided to go to Clarksville, TN and visit the Pink Poodle, a place he and Billy Cox had played. He bought drinks for himself and others and enjoyed himself. He rented a room nearby and started to work odd jobs. 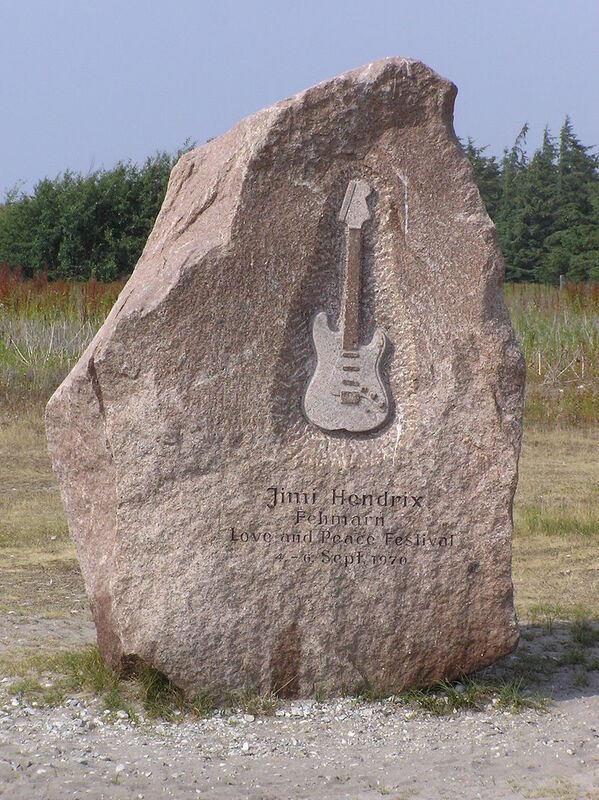 October 18: Billy Cox was discharged and joined Hendrix in Clarksville. November 13: Hendrix meets guitarist Larry Lee. 2,470 days later Hendrix, Cox, and Lee played together at the Woodstock Music and Art Fair. Imagine if he’d played Happy Birthday? Too often media ask us questions like “Who is the greatest guitar player of all time?” The answer, of course, depends on many things: Who is asking? Who is answering? What does greatest mean? Graffiti said Eric Clapton was “God.” Woodstock devotees likely answer Hendrix. I think it’s better to avoid the whole question and admit what all must: Hendrix was an amazing, groundbreaking, and immensely influential guitarist. 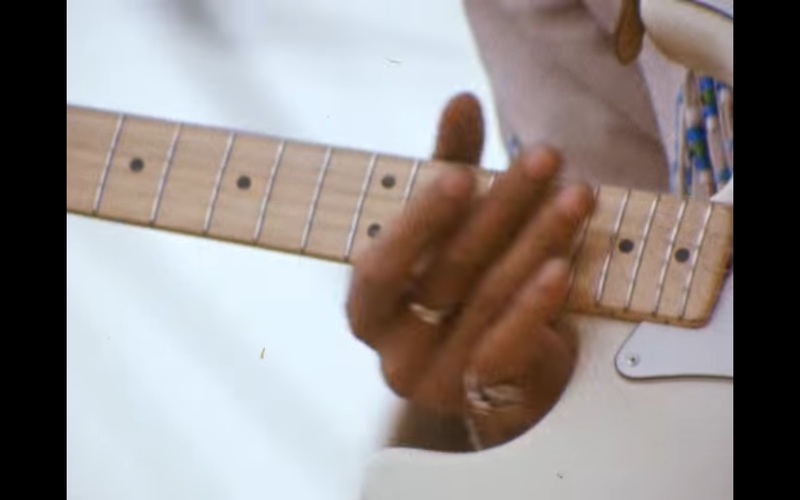 And Buddy Guy was one of Hendrix’s influences. There were many performers scheduled for the Woodstock Music and Art Fair that easily convinced me that I had to attend. The Who. Jefferson Airplane. Crosby, Stills, and Nash. The Band. At the top of that list was Jimi Hendrix. Joe Cocker opened day three. Then the skies darkened and torrents fell. Tired, wet, hungry, worried whether our car was still parked on the side of the road eight miles away, having to be at work in 14 hours, friend Tony and reluctantly left Max’s field that muddy Sunday afternoon and headed back to Jersey. No Hendrix. So did 370,000 other fans in similar straits. I have been very fortunate in many ways and missing Hendrix simply meant I did not see him a second time. 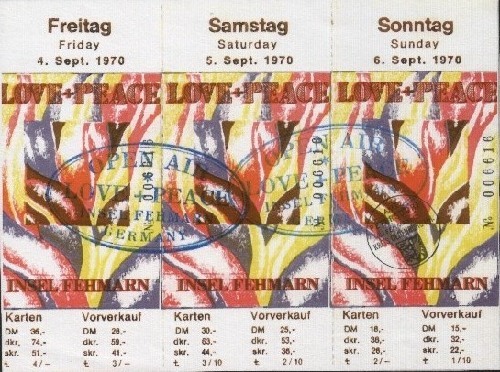 On August 23, 1968 I saw the Experience with the Soft Machine, the Chambers Brothers, and Big Brother and the Holding Company. Big Brother featured, of course, Janis Poplin. That’s how the program listed Joplin. Twice. 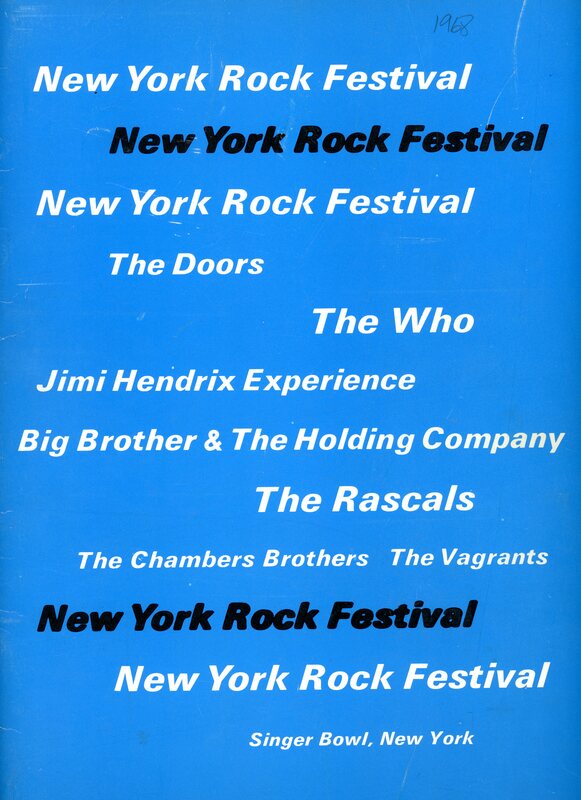 Though no Woodstock, the New York Rock Festival was drier and we didn’t have to walk eight miles to get to our seats. A great night. I was on my dorm’s elevator on September 18, 1970 when I heard Jimi had died. I was on the same elevator 16 days later when I heard Janis died. Two of the greatest to many Boomers. Two of the greatest to anyone with ears to listen. 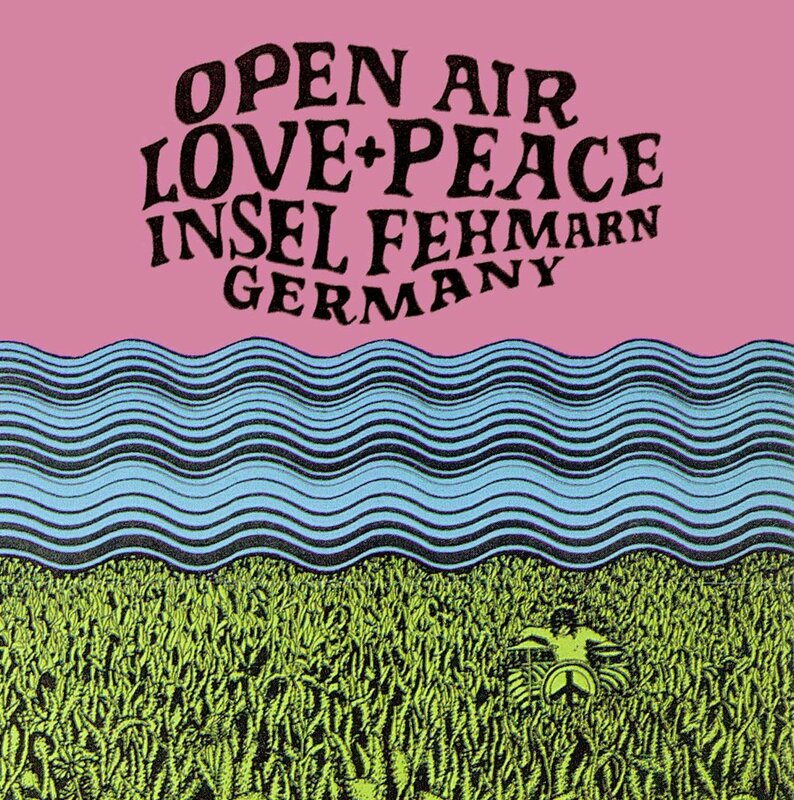 Just as Woodstock had inspired other young entrepreneurs to try their hand at organizing their own festivals, the Isle of Wight’s festivals, particularly 1970’s, inspired Helmut Ferdinand, Christian Berthold, and Tim Sievers to do the same. 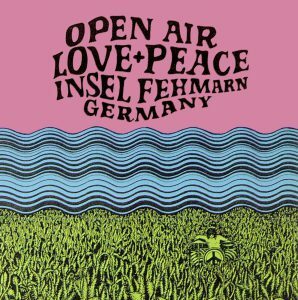 And just as the Isle of Wight was an island concert (duh), these three young men chose the Isle of Fehmarn, between West Germany and Denmark. The idea was a sensible one: book the artists appearing at the Isle of Wight after that event on August 28, 29, and 30. 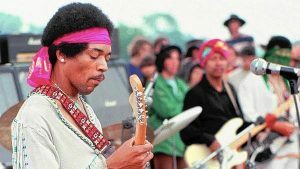 Such Woodstock names as Melanie, The Who, Sly and the Family Stone, John Sebastian, Joan Baez, Richie Havens, and most importantly of all, Jimi Hendrix. Ferdinand, Berthold, and Sievers selected an area called Flueggerstrand and rented a field belonging to a farmed named Störtenbecker. They converted a nearby school into a temporary hospital. had to ask local breweries and dairies to provide beverages as the company they hoped to contract refused. asked the German Red Cross to provide a mobile kitchen for the warm meals. installed a few telephone boxes. Joan Baez and John Mayall cancelled because they feared non-payment after learning of poor ticket sales. As if the pre-festival similarities to Woodstock weren’t enough, the day the festival started, so did the rain. Unlike Woodstock, a German biker group called the “Bloody Devils” arrived and supplanted the planned security. The Jimi Hendrix Experience (Hendrix, Billy Cox on bass, and Mitch Mitchell on drums) were on Saturday’s schedule. 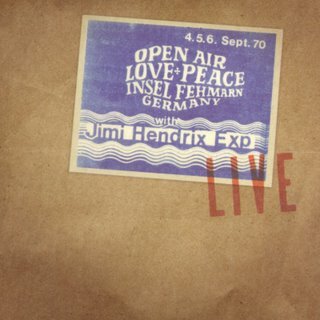 Rain cancelled that appearance, but Hendrix, already paid, played the next day. Bootleg copies of that performance existed for year, but on December 13, 2005 Dagger Records released the best-sounding recording. It was his last concert. Hendrix died in London on September 18. The monument pictured below now commemorates that performance on the Isle of Fehmarn. It was a difficult month for rock fans, particularly those who had attended Woodstock. On September 3 Canned Heat’s Alan Wilson died. Hendrix on the 18th. And Janis Joplin on October 4. All were 27 years old.